No Bake Protein Cheesecake by Antonella C.
So before I get started with the recipe a bit of a back story. My dad has been doing an amazing job over the past few years getting in shape. After being diagnosed and medicated for severe hypertension, he started running with me. Eventually he trained enough to be completely taken off his meds. He lost quite a bit of weight but still complained that he looked really “pudgy”. Naturally, his next goal was to lose more weight and build some muscle. After months of hours of machines at the gym and very little to show for it I finally convinced him to start doing some heavy lifting and eat more protein! 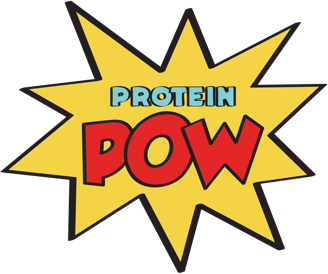 So far that has been going okay, but he is bored of shakes because drinks do not satiate his appetite very well and has been finding it harder and harder to lose weight – so of course I directed him to ProteinPow for some first class protein wizardry!! This is where we hit a snag – my dad absolutely refuses under any condition to do anything that resembles cooking. Not even mix and bake!! It literally took weeks of pleading to get him to pan-fry an egg-white omelette. I am pretty sure he would rather starve than try to dabble in baking of any kind. If there is no food in the house he will just go out for lunch to a restaurant – a place full of temptations. And if there is one thing that tempts him more than anything in the world (and where he always slips up) it’s “The Cheesecake”. Any time I get together with him and we go out for a meal, when the waitress says “any dessert” he looks at me and mouths “cheesecake? ?” with a crazy spark in his eye… to which I say I can’t (gluten allergy) and he… looks very sad. If he does end up ordering it, it’s one of the most epic guilt-filled experiences I’ve seen. SO my goal was to make something SUPER easy – with no baking involved that he can do! Something that he could make to satisfy that cheesecake craving without “cooking”! Now I LOVE making good protein filled cheesecakes of any flavor. I have an array of springpans, crust pre-mixes, and topping berry compotes. The goal here was AS EASY AS HUMANLY POSSIBLE to create something cheesecake-like for my dad to eat with minimum ingredients and minimum steps. To be honest, I am not even sure this qualifies for Global Cheesecake Day, but not everyone can be a cheesecake wizard (at least not right away ;) ). **Optional: 1/4 cup splenda/sweetener of choice + vanilla + berries of choice. 2. In the meantime sprinkle gelatin onto the almond milk. MIX WELL. Microwave on 50% for 45-60s until warm and keep stirring so there are no clumps. 3. Combine all ingredients and blend until silky smooth. 4. Pour mixture into a dish of choice OR pour in HALF of the mix first, blend the remainder with your berries of choice (I like blueberries) and THEN pour the second half into the dish on top (to make 2 layers). 5. Refrigerate for 3-4 hours until it’s fully set…. 6. Eat as is out of the bowl or separate the edges to pop it out and make it into slices! No baking! No “cooking” but a delicious result! The more you strain it the more “solid” the texture will end up. I like mine pretty creamy, but you could always strain for longer.